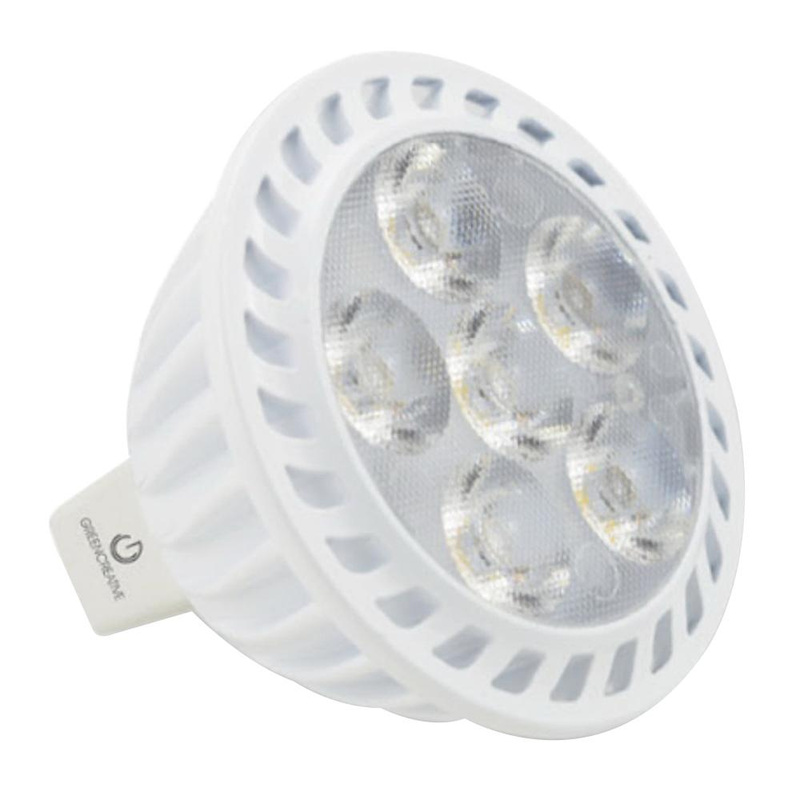 Green Creative Titanium Series 7.5-Watt MR-16 GU5.3 2-Pin base LED lamp offers 485-Lumens of bright light output. This lamp has voltage rating of 12-Volts. It has color rendering index of 92. This lamp with 2700K color temperature rating radiates warm white light to the surrounding. 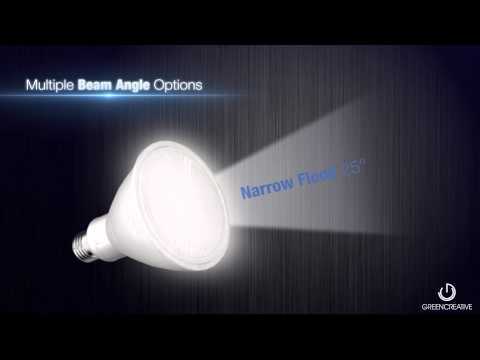 It offers floodlight distribution at beam angle of 36-degree. It measures 1.89-Inch x 1.97-Inch Dia. This lamp has average life of 25000 hours. It is suitable for use in totally enclosed fixtures. This lamp is ideal for indoor/outdoor, recessed, track or landscape environment. Lamp is cULus listed, FCC compliant and Energy Star certified.